Hi everyone! Today I wanted to share with you the story of Achile. I heard about his situation through one of my favorite child advocacy ministries Compassion International. 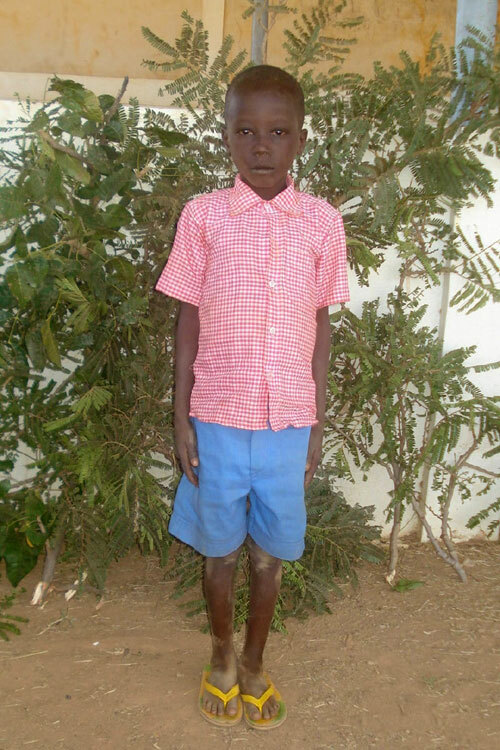 Achile is an 8-year-old boy in Burkina Faso with a congenital heart defect known as Tetralogy of Fallot. Because of Achile's heart condition, he has been in pain for five years and hasn't been able to attend school regularly and receive the full of benefit of sponsorships through Compassion International. Compassion International has provided medical care for Achile for the last two years at the National Teaching Hospital Yalgado Ouedraogo in Burkina Faso in Western Africa. However, doctors there now believe his condition requires urgent heart surgery, which is not available in Burkina Faso. Achile will be transported to a specialized hospital in India for a lifesaving operation that will cost an estimated $20,449. I am asking you to prayerfully consider donating to Achile's surgery. If you feel moved to bless him, please go to this donation link. Any funds raised in excess of the cost of Achile's surgery and transport will be rolled into Compassion's Medical Assistance Fund to aid children in need of medical help in the future. Thank you for your prayers and words spent on his behalf.